The project Intelligent composite anchor is created with the support of the Ministry of Industry and Trade of the Czech Republic under the program TRIO. The main objective of the project is the research of the possibilities and development of a composite anchor element, which will be integrated with electronic sensors. The project will be solved in the period 2016-2019 with the partners Strix Chomutov, Prefa Composite, a.s., CTU in Prague and Brno University of Technology. 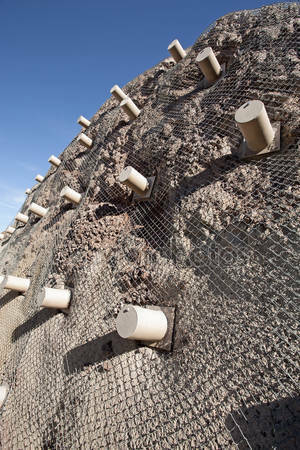 The aim of the project is to investigate the possibilities of combining composite materials and electronic systems so that a completely new type of anchor element is used for anchoring the safety nets for the stabilization of rock walls, mining engineering, and other geotechnical problems. The intelligent composite anchor element will allow non-destructive measurement of its length even after the installation. This feature is important due to the long-term monitoring of the effectiveness of the implemented measures, but also to verify the correctness of the implementation of the measures. However, it is not a simple implementation of the measuring system into the existing composite anchor elements. Based on in situ modeling and testing, the mechanical properties of the anchor element will also be optimized. In particular, the research team will focus on improving the top mount of the anchor element. At present, steel anchors are used for the above-mentioned measures, which are slowly replaced by composite measurements, without any added functions. After installing an anchor that is installed in a given raster to a given depth (e.g., in a 1 x 1m raster to a depth of 3 m), it is not possible to verify how long the anchor has actually been installed. Due to the real impossibility of verifying the actual length of the installed anchor elements, it is a great temptation for some implementers to shorten the anchor elements. The investor has no reliable option to independently verify this fact. 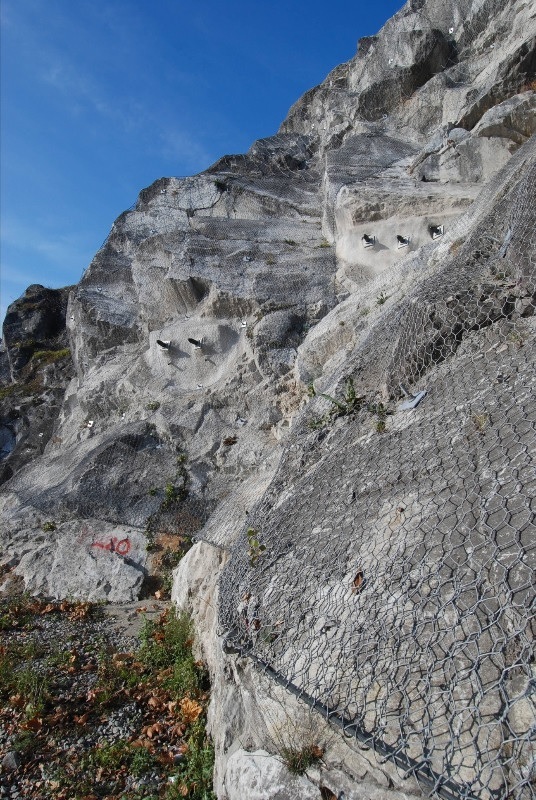 Even during the lifetime of a geotechnical measure, it is not possible to verify, for example for some extraordinary events (e.g. the occurrence of a new rift in the rock mass, the initiation of a partial fall, etc. ), if the installed anchor element has not been broken. The Department of Computer Science at FEL CTU participates in the project by proposing the integration of the measuring system into the new anchor element, the design and implementation of a smart sensor for measuring the parameters of the soil, realization of the mechanism of identification of the individual rehabilitation rods and the collecting unit of the position of the control rod, its length and the parameters of the rock. 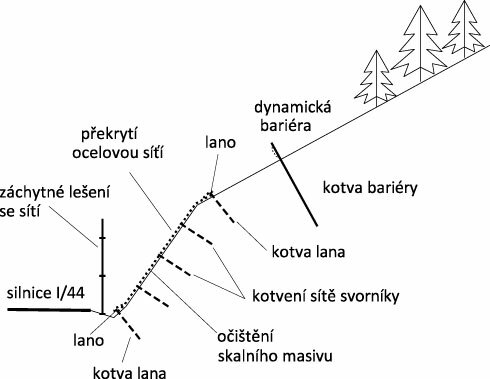 In the following parts, the problems of accurate mapping of the shift of the rehabilitation rods and the analysis of the changes and the trend of the data obtained from the slopes will be solved. The aim is to develop a system that would substantially improve the control of sanitized areas and simplify their maintenance.